Celebrated painter, naturalist and explorer, John James Audubon, was many things before he came to symbolize the modern conservation movement. He ran a gristmill, a lead mine and a general store. The store ultimately failed and resulted in his brief jailing for unpaid debts. After moving to Kentucky, and then Louisiana, Audubon became progressively more interested in nature. In New Orleans, Aububon supported his growing family painting portraits on the street and teaching drawing. It wasn’t until the publishing of his “Birds of America” in 1827, that fame and fortune began to shine upon this Haitian-born, French immigrant. “He had a real appreciation for our connection to the wild world,” said Brian “Fox” Ellis of downstate Bishop Hill. 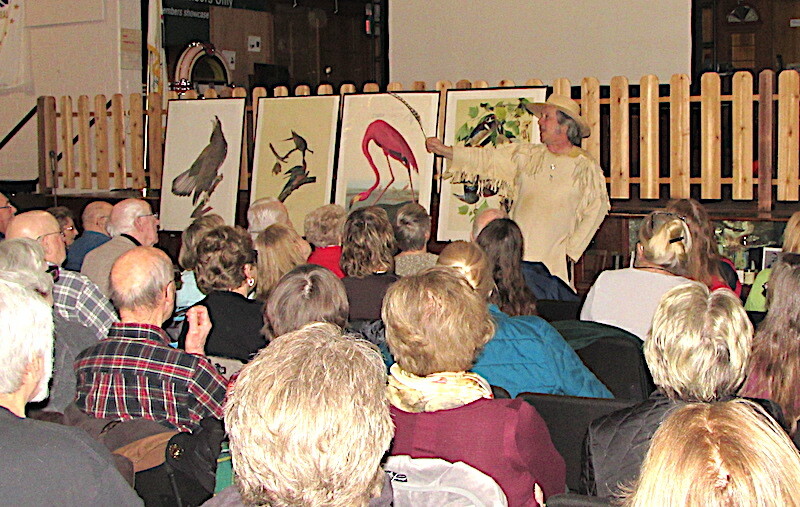 Join Ellis, fellow storyteller and naturalist, at 3 p.m. Monday, March 25, as he presents “Adventures With Audubon” at the McHenry County Historical Museum, 6422 Main St. in Union. Hear about Audubon’s adventures as he strives to become the first person to draw every bird in North America – gleaned from Audubon’s own journals, essays, and letters to his friends and colleagues. Audubon settled on an ambitious plan to chronicle all 435 bird species in America. According to the National Audubon Society, which bears his name, Audubon ventured mostly on foot into the wilderness to document his subjects' feeding preferences, calls and songs, courtship rituals, and other unique characteristics. His paintings showed the birds' typical behavior in their natural habitats. 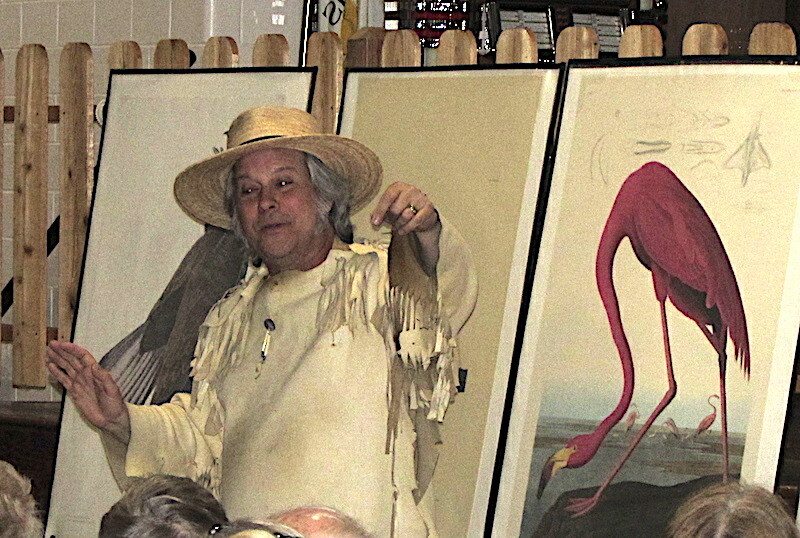 Several of the species that he painted – including the passenger pigeon, the Carolina parakeet and the ivory-billed woodpecker – now are extinct. Ellis attended Oberlin and Wilmington colleges in Ohio, becoming certified as a biology teacher and teaching on and off at various high schools. But he has always had a passion for the arts. He founded musical theater company, Fox Tales International, and is artistic director for Prairie Folklore Theatre in Peoria. Ellis has been performing on the Spirit of Peoria riverboat for 25 years. He also founded Historic Illinois, a website development and management company for historical societies. He is an author, publishing 16 books. And he and his wife run a bed and breakfast, The Twinflower Inn, when he’s not putting on “History Comes Alive” program at the Old State Capitol building in Springfield. By 1898, state-level Audubon Societies were established in Illinois, as well as Wisconsin, Indiana, Ohio, Minnesota, Pennsylvania, New York, New Hampshire, Maine, New Jersey, Rhode Island, Connecticut, the District of Columbia, Tennessee, Texas, and California.